For the car seekers near Chicago who are in the market for a new and sporty sedan model that offers top-notch performance and premium comfort? If you haven’t yet seen or test driven the new Kia Stinger, we a variety of trim levels in our new inventory and they are just waiting for your viewing and test drive! Here’s a brief rundown of some standout features drivers can look forward to when prospecting a base trim of the Stinger. Take on your everyday work commute with the 255-horsepower 2.0-Liter Turbo GDI engine which receives up to 21 mpg city and 29 mpg on the highway. Ideal engine power and efficiency for the driver commuting in and out of Chicago on a daily basis. Look forward to the available eight-inch touch-screen display with the helpful voice-command navigation system which optimizes your awareness and readiness on the roads and highways. Remain connected to your smartphone with Bluetooth connectivity via Apple CarPlay and Android Auto and play your favorite tunes or podcasts on the available SiriusXM Satellite Radio. Enjoy maximized legroom and headroom with a spacious cabin which offers premium leather interior and pack in the family luggage for those weekend getaways with 23.3 cubic feet of trunk volume. Test Drive the New Kia Stinger Today! Find out yourself how practical and sporty this Kia sedan is and schedule your test drive of the Stinger by calling our sales team at (877) 849.3140. 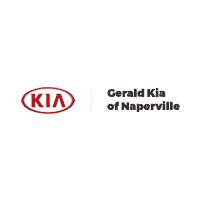 We look forward to working with you, and we’ll see you in our Kia showroom in Naperville soon! 0 comment(s) so far on Have you Experienced the New Kia Stinger on The Roads of Naperville Yet?